Hamburg is an economic and cultural powerhouse, as well as the second largest city in Germany with a population of around 1.7 million. 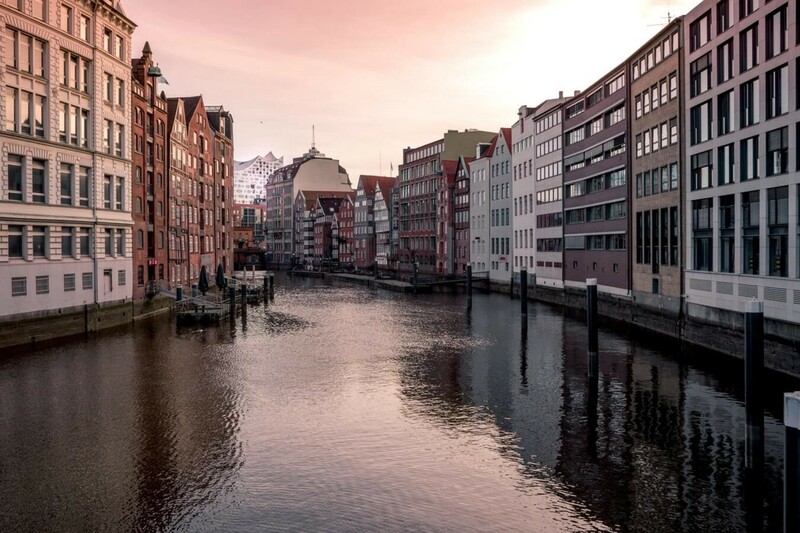 According to the Economist Intelligence Unit, Hamburg is one of the top 10 most livable cities in the world, thanks to relatively low crime rates and a higher-than-average standard of living. Hamburg is an important financial centre, but it also benefits from lots of green space, with 14% of the city dedicated to recreational areas. Home to reasonably affordable furnished rental apartments, Hamburg is a great place to live. If you’re not convinced, here’s our guide to Germany’s second-largest city. Altona is a multicultural area of Hamburg that also happens to have a large student population. The area is a home to Altonaer Volkspark (the city’s largest public park) and the Ottensen shopping district. Head to the Schanzenviertel for a fantastic night out, as this area is home to a large concentration of bars and clubs. Altona is a great place to raise a family or enjoy all that Hamburg has to offer. There are lots of green spaces, parks and shopping opportunities — all within a short walk of the Ottensen district. The Altonaer Fischmarkt attracts people from around the city, while Schanzenviertel provides local residents with a great night out. There is also a sporting tradition in this area of Hamburg, thanks to the presence of teams such as FC St. Pauli. Altona has everything residents could wish for from a residential area. There are parks, shops, great amenities and reliable transport links — which makes this one of the most popular places to live in Hamburg. But expect to pay a premium to live here. With an average rent of € 1.080 - € 1.500 for a furnished one-room apartment, Altona is one of the most expensive residential areas in Hamburg. Bergedorf is easily one of the prettiest areas in the city. Tree-lined streets, beautiful country homes and houses for rent characterise this charming district. Quiet and traditional, this area is perfect for young families. And if you’re looking for exceptional serviced apartments in Hamburg, Bergedorf is a great place to be. People move to Bergedorf in order to be surrounded by natural beauty. There is greenery at every turn, thanks to lots of open spaces, forested areas and unspoiled countryside. This district also happens to be home to Hamburg’s only sand dunes. The main retail area in Bergedorf is located in Alte Holstenstarße, and is home to a large selection of national brands and independent retailers. A little further from Hamburg’s city centre, Bergedorf is a surprisingly affordable place to live. The average rent is € 900 - € 1.300 per month for a furnished one-room apartment. Eimsbüttel is a historic district of Hamburg that enjoys fantastic amenities. Thanks to a selection of top schools in the area, the district is very popular with young families. However, there’s also a large elderly population here that enjoys the high standard of living. Eimsbüttel is one of the most affluent areas in the city. 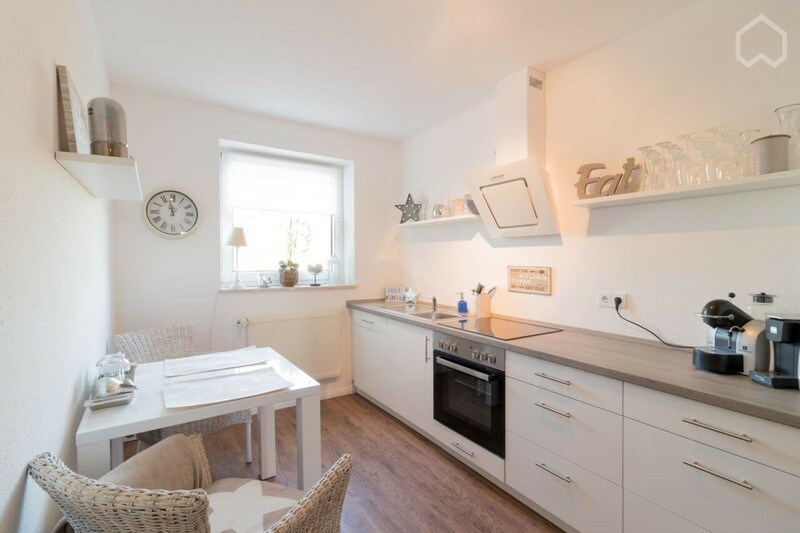 Whether you’re looking for short-term rentals in Hamburg or a permanent home, you’ll find comfortable and luxury apartments throughout the district. The architecture in Eimsbüttel is stunning, giving the area its own identity. The Osterstraße area is home to a wide range of high-end retail outlets. Thousands of visitors also arrive in the district every week to visit Hagenbeck's Zoo. Eimsbüttel is one of the most sought-after areas in the city, thanks to its wonderful architecture and comprehensive local amenities. As a result, the rents here are high. Expect to pay between € 1.000 and € 1.350 per month for a furnished one-bedroom apartment. Harburg is a relatively quiet corner of Hamburg, which makes it popular with families. Quiet and residential in nature, the district is on the outskirts of the city, but transport into central Hamburg is reliable. There is also a large student population in Harburg, attracted by the TUHH university and relatively low rent. Harburg’s crowning glory is its beautiful public park — the Harburger Stadtpark. Featuring tranquil greenery, forested areas and a vast lake, this park is an oasis of calm on the outskirts of Germany’s second city. The district is also home to the Phoenix Center, which is houses dozens of local and national retailers. Harburg is currently one of the most popular areas in Hamburg. Despite being home to stunning areas of natural beauty, average rents are lower. Expect to rent an average furnished one-bedroom flat for between € 1.000 and € 1.300 per month. People who want the bright lights and bustling excitement of the city tend to gravitate towards Mitte. This district is actually home to several sub-districts, each with its own identity. The main residential areas are Hamm, Horn and the harbour area in Steinwerder. There is also a large LGBT community in St. Georg. Mitte has everything you could wish for in a major city. There’s a huge shopping district in Jungfernstieg, as well as a massive business quarter at HafenCity. This part of Hamburg also attracts those interested in the arts, thanks to the presence of landmarks such as the Elbphilharmonie concert hall. Because Mitte is such a large and diverse district in Hamburg, rents can fluctuate substantially. In the exclusive areas near HafenCity, expect to pay more than € 3.000 per month for luxury accommodation. However, there are more affordable one-bedroom apartments on offer in other areas for € 1.150 - € 1.500 per month. As Germany’s second-largest city, Hamburg is home to world-class cultural landmarks, entertainment districts, big business and a full complement of housing types. This city has everything you could possibly wish for from a major European city. Here are a few pointers to get you started in Hamburg. Hamburg’s transportation options tend to be eco-friendly, with many locals getting around by bicycle or by train. Getting around the city is easy thanks to the excellent Metro service, which offers single tickets from just €3.30 and all-day railcards from €7.70. Six different ferries serve the harbour and the River Elbe. Picking up a taxi on the street is very easy in Hamburg. They charge a base rate of around €4, then an additional €2 for every kilometre travelled. To avoid higher rates, call your own cab from Autoruf GmbH Tel: 040 / 441 011. 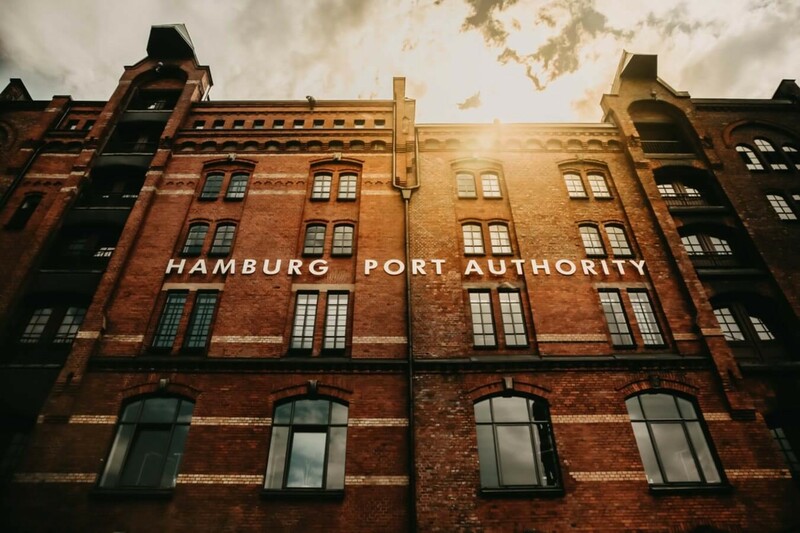 Hamburg attracts hundreds of thousands from around Germany, Europe and the world every year, thanks to some incredible landmarks and attractions. The Speicherstadt is the largest continuous warehouse complex in the world. Featuring Gothic architecture from the late 19th century, this incredible area is characterised by its gables, turrets and canal barges. The Elbphilharmonie is an exceptional music venue that also happens to be a true wonder of the architectural world. Everything from pop to classical music wows audiences here. The venue is also the home of the Hamburg Philharmonic State Orchestra. The Port of Hamburg is the third largest commercial port in Europe. Take a barge tour of this historic port, or visit the many museum ships to get an idea of this area’s prestigious history. This is the entertainment district of Hamburg — filled with dozens of nightclubs, bars, restaurants and live music venues. The area is also home to one of Hamburg’s football clubs (FC St. Pauli) and the city’s red light district. The beautiful St. Michaelis Church, commonly referred to as the Michel, has been rebuilt three times since 1641. As well as being a breathtaking example of German architecture, the Church is also home to the “HamburgHIStory”, a multimedia presentation of Hamburg’s past, on a five-metre panoramic screen. Hamburg’s famous fish market opens to the public every Sunday since 1703 where locally caught fish is sold by fishermen. Hamburg has a wide range of services that make daily life as easy as it is exciting. Download the car2go mobile app to find and drive a car anywhere in the city — whenever you need it. Lieferando brings meals from local restaurants in the city to you — perfect if you don’t want to cook after a long day at work. Hamburg is full of busy professionals who struggle to find the time to do laundry. Luckily, Jonny Fresh collects laundry from homes around the city, and delivers it the next day - clean and pressed. Helpling is a cleaning service that offers both one-time cleaning of your rental apartment for €15 per hour or weekly/bi-weekly cleaning for €12.90 per hour.